First of all a massive thanks to the over 150 people we've met at our events and over 20 SMEs we've engaged with. We hope that the connections you've made will prove as valuable to you as they are for us. We're especially looking forward to working with many of you on #FloodHack16 — a huge project on the 11th and 12th of March that's come out of what we've achieved here. Of the 20 SMEs who entered, we've picked seven to share in more details. 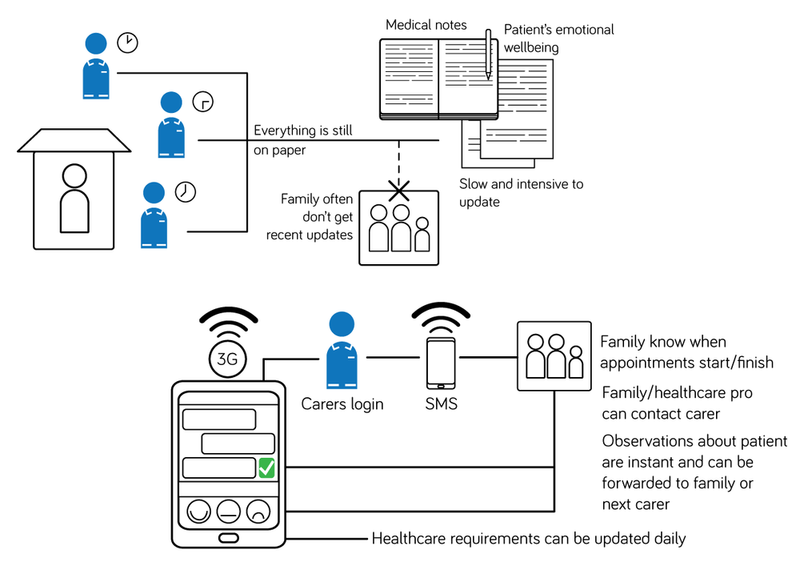 Konnektis are developing a digital platform to encourage better real-time communication and collaboration between carers of older people, be they relatives, friends, paid carers or local volunteers. 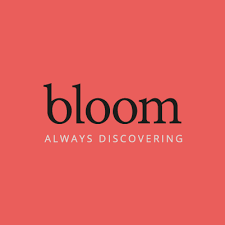 We were so impressed by what they've already achieved and the progress that they made in discussions with Kathryn Grace during our development days. The Digital Health Enterprise Zone and DigiCat Yorkshire in Bradford are finalising a support package as we speak. We've been impressed with Caldertech's internet-connected welders since we first heard about them and it was great that they could make it out of the factory and into our space to share the next step in their development. 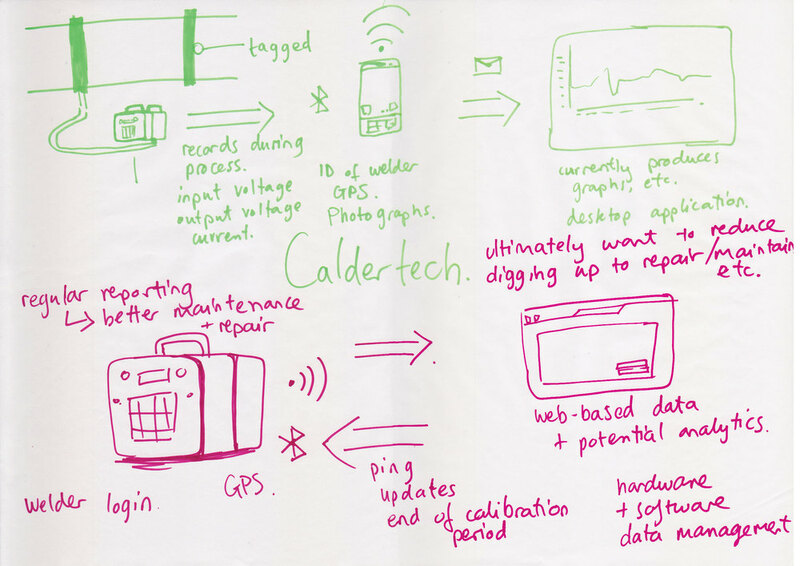 We're now working with the Digital Catapult Centres in London and Bradford to secure the expert advice that Caldertech need to bring their new product to market. 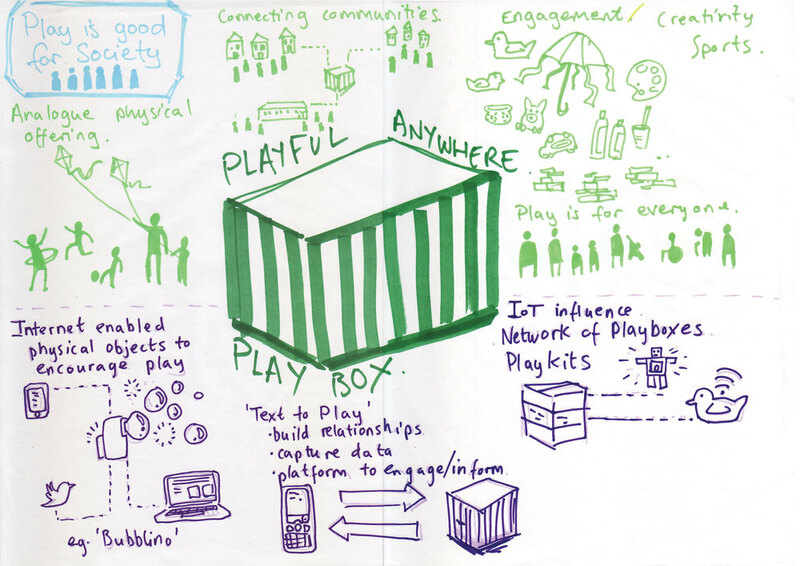 Over the course of our IoTUK|Boost process Playbox by Playful Everywhere has evolved from a physical box to a scalable toolkit of internet-connected play enablers. Playbox also worked with local creative technologists imactivate to prototype a tool using NFC. It turns registration and tracking of participants into a playful process of creating a custom NFC robot badge and using it to tap in and tap out of difference activities. 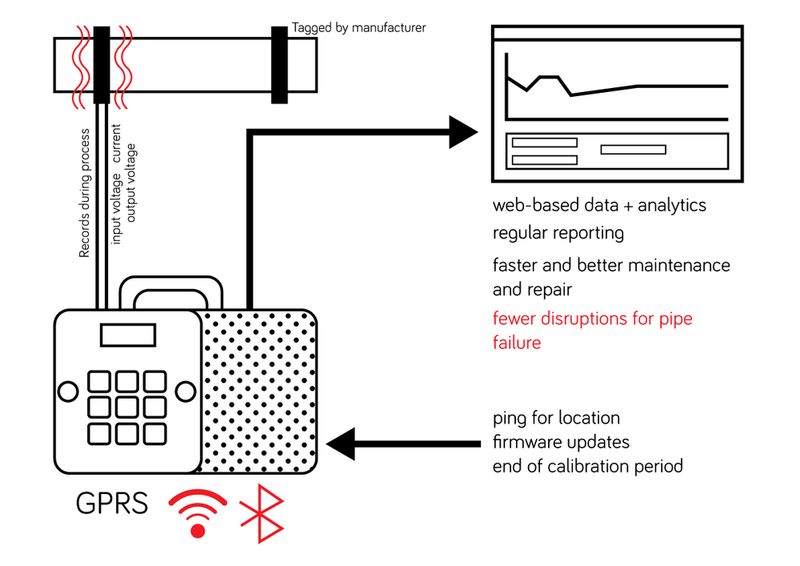 We need to know who is taking advantage of publicly-funded experiences, and we need to have ways of letting them know what we're doing, this solves that problem with an internet-connected thing. 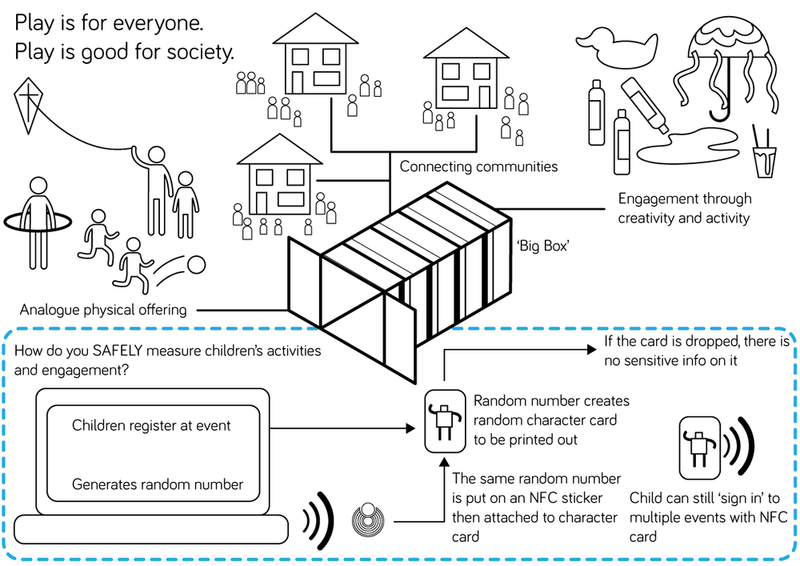 Following our event, Emma is in discussions with Bradford Council to bring the Playbox to City Park and in discussions with creative technologists to develop the proof of concepts that could form a playkit. We found Jeeeni a fascinating idea. A single app on iOS and Android that provides a standard user-interface for every service and thing you interact with. 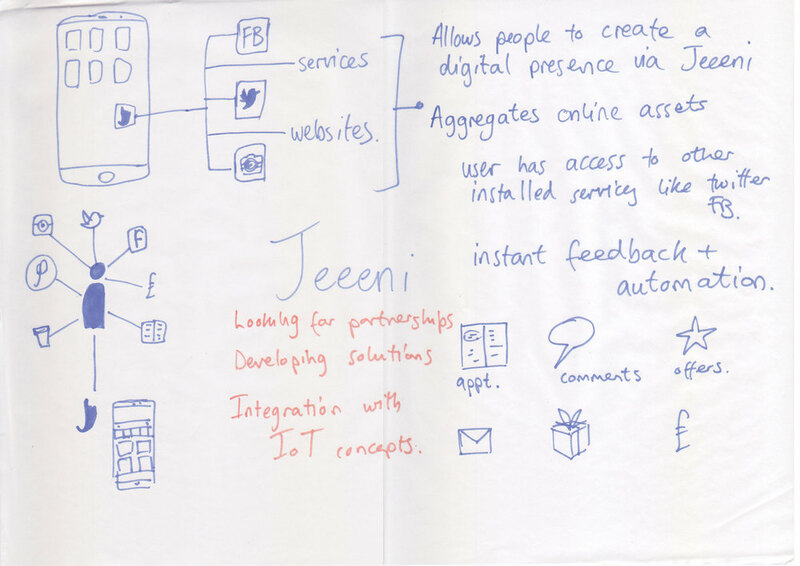 From off-street parking to an Audi showroom, Jeeeni's services work just like apps except that they don't need installing and are available instantly. 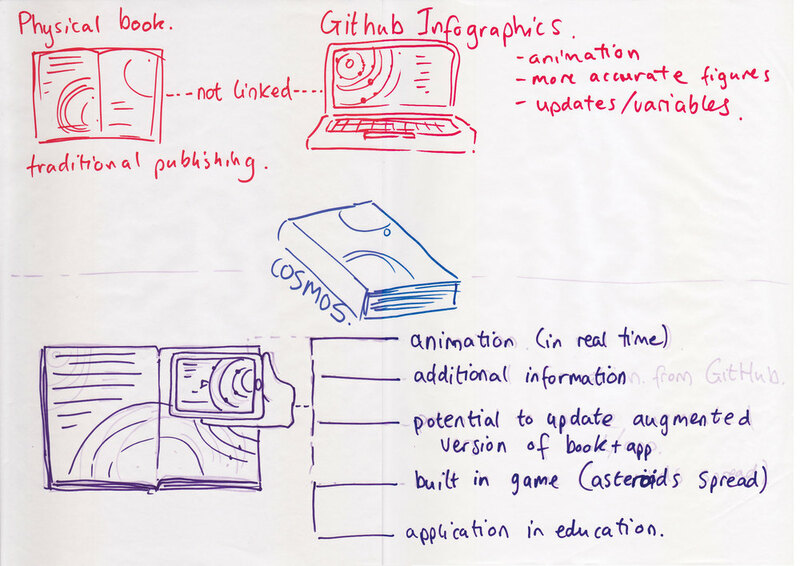 The entry from imactivate and local author and scientist Stuart Lowe addressed Bradford Council's challenge to use IoT to improve education in our region. Building on their existing range of internet-connected multi-lingual books they presented an internet-connected version of Stuart's book Cosmos. 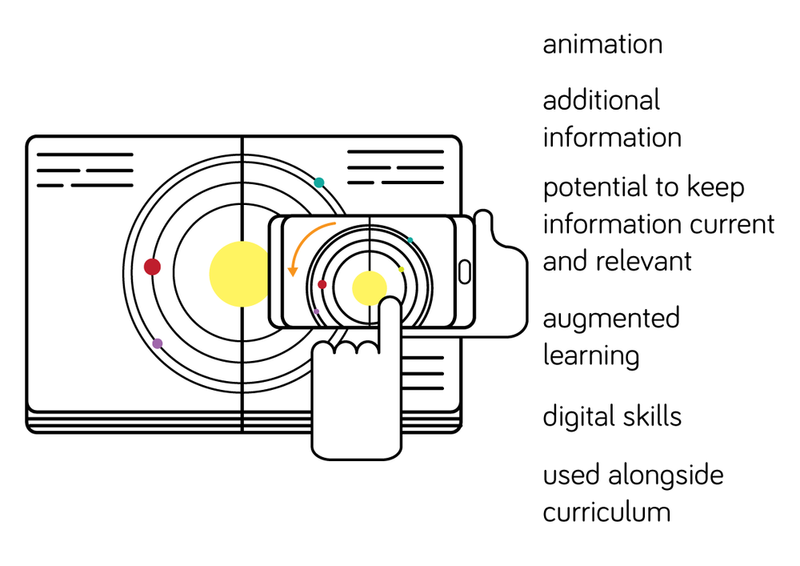 By downloading the app and scanning any page in the book, interactive versions of each infographic, or relevant games, are presented to the user. 99 Aha! 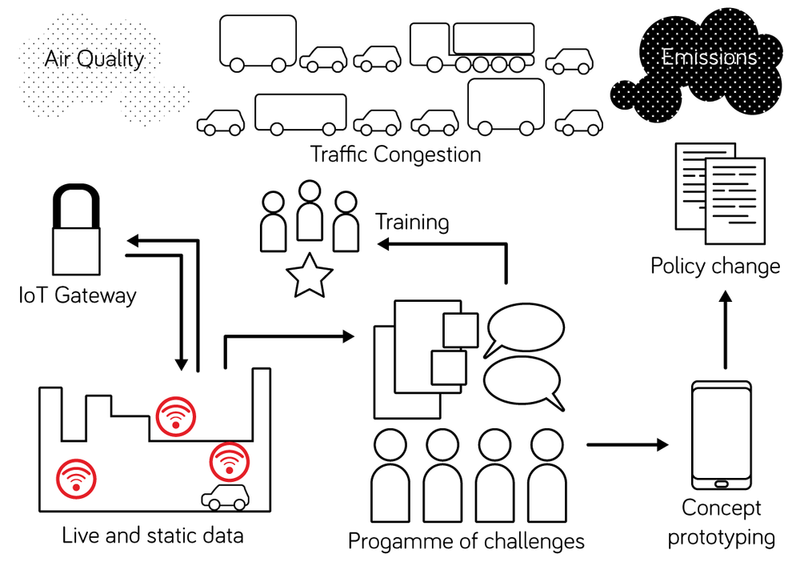 are planning to integrate internet-connected things into a system for understanding and improving cities. 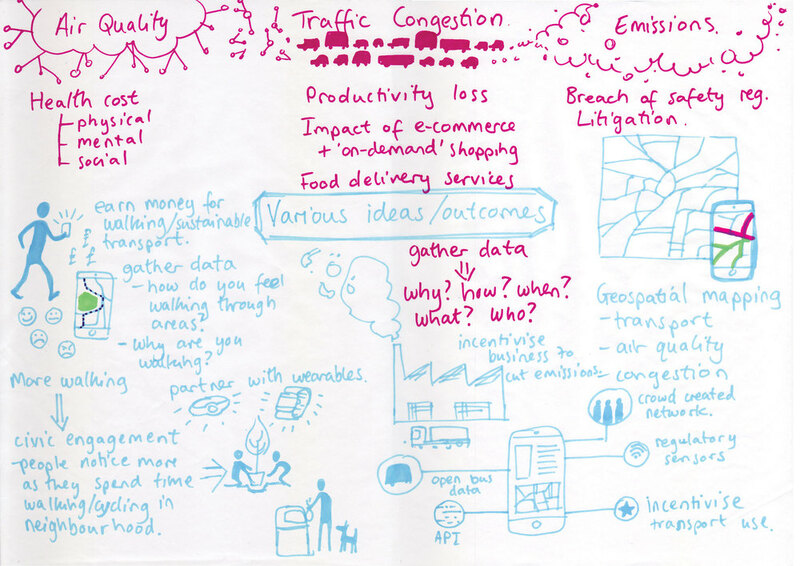 They focused on traffic congestion at our hack event and especially on understanding the existing data that would need to be released and the new things that would need to be built in order to monitor this well. 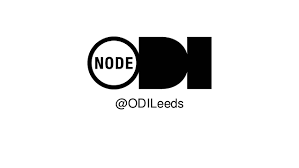 This is something we're working hard on in Leeds already and we're already talking with Rajesh about how he can work with us, and other SMEs with similar ideas who couldn't make it to your workshop days, to scale up his plans. 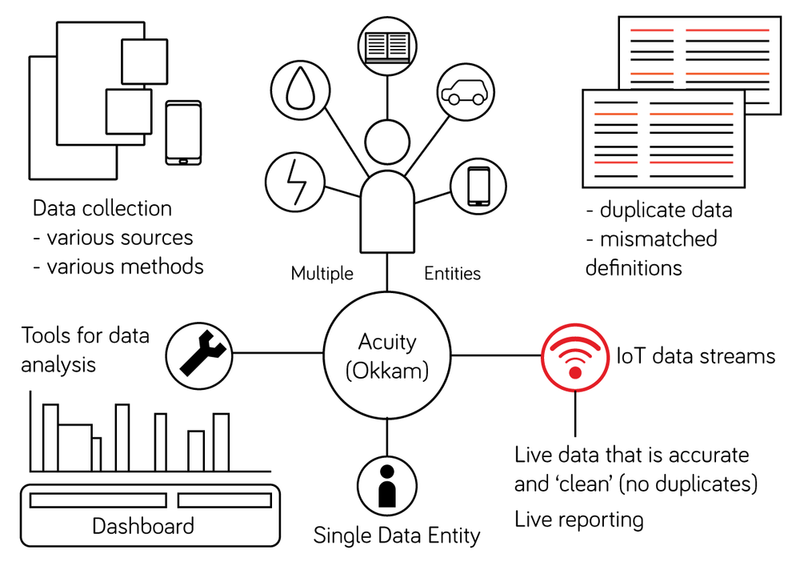 Acuity drew on their experience with the world-famous Broadband for the Rural North project and focused on the infrastructure needed to help communities take and keep control of the data generated by the internet of things. We're looking to work with Acuity to boost the rural scope of #FloodHack16 which we're running on the 11th and 12th of March.